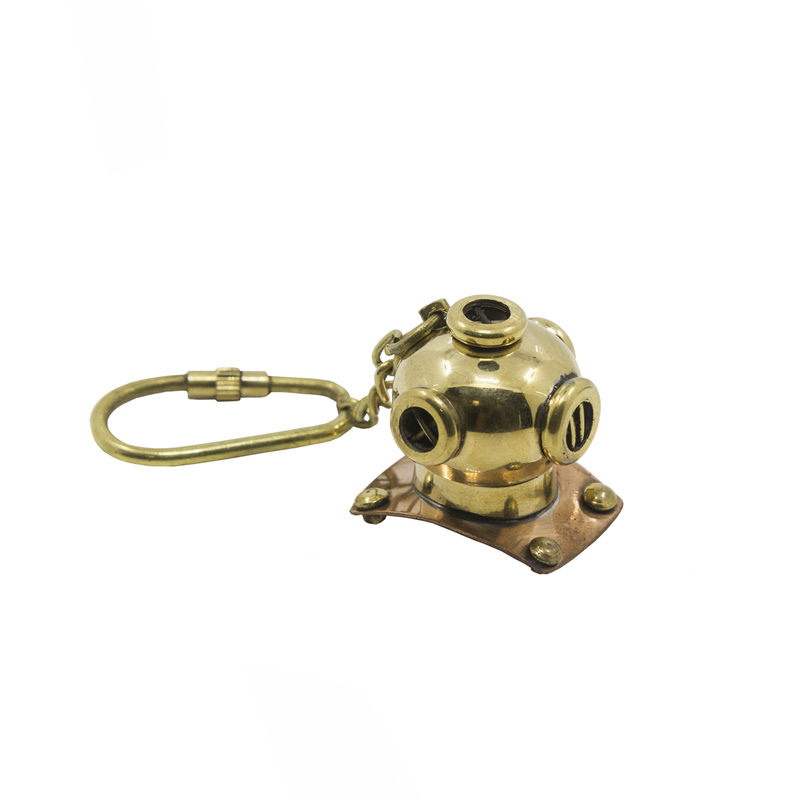 This brass diving helmet key chain is both adorable and functional, featuring a brass and copper diving helmet key fob. Perfect as a nautical gift! This brass diving helmet key chain is both adorable and functional, featuring a brass and copper diving helmet key fob. Crafted from solid brass and copper, this key chain is as beautiful as it is durable and functional. A knurled knob allows you to easily and securely add or remove keys from the ring. The diving helmet design of these nautical keychains is one of the enduring symbols of the ocean. Evocative of brave men risking their lives in a frontier that had been little explored. From Pearl Harbor to Hollywood, the diving helmet has leapt into our collective consciousness, all the way to this fabulous brass keyring. Perfect as a historical gift, or perhaps for the diver in your family, these diving helmet nautical keychains will take your breathe away. Customers can also purchase this in store at the Wellington Museum.